The first white settlers in the Spokane Valley arrived in the 1860s by a series of pioneer trails coming up from the Snake River Country to the south. Among the most important of these was the Kentuck Trail, which followed traditional native routes to connect Plante's Ferry across the Spokane River to the Snake River Ferry about one hundred miles to the south. The Kentuck Trail was one of the shortest routes from Fort Walla Walla to the Spokane country. The trail got its name from Joe Ruark, a Kentuckian, who settled in Walla Walla in 1859. 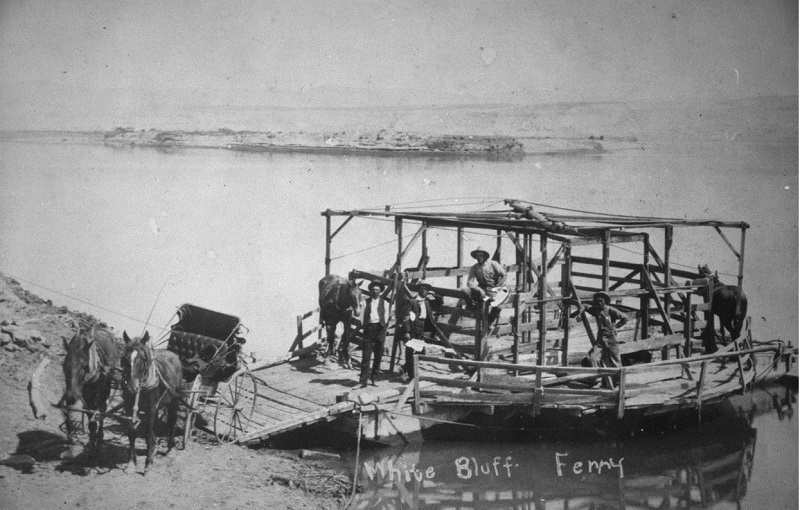 After crossing the Snake River by ferry, he carried mining supplies northeast to the Spokane Bridge on his route, which was some twenty-five miles shorter than the Mullan Road. In 1867 settler Henry Lueg described traveling through Spokane Valley via the Kentuck Trail, "a beautiful great prairie where excellent grass was found...the road was excellent, no hills, no marshes, and no rocks the entire day." Arriving at the Spokane Bridge, one could cross the river for a toll of $1.00 in paper currency per wagon, no charge for the horses. 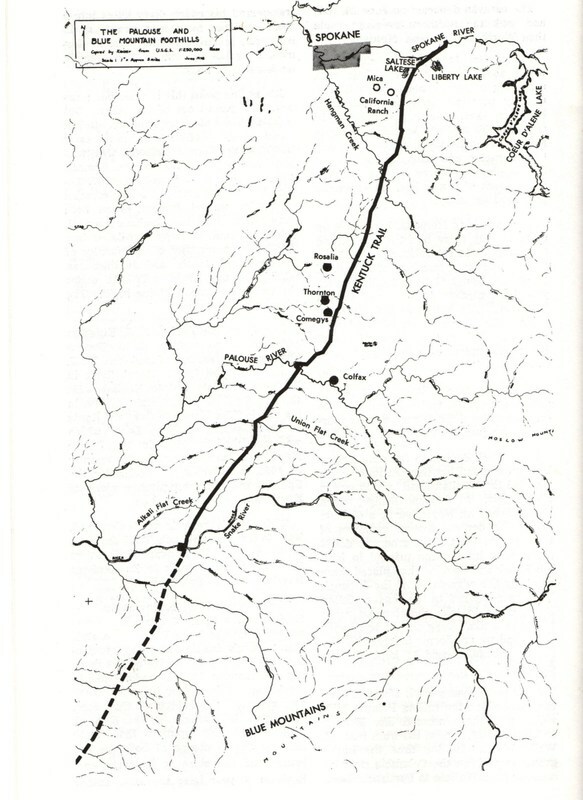 Map of Kentuck Trail: This 19th century map depicts the route of the Kentuck Trail through the Palouse of Eastern Washington. Photo Courtesy of Spokane Valley Heritage Museum. 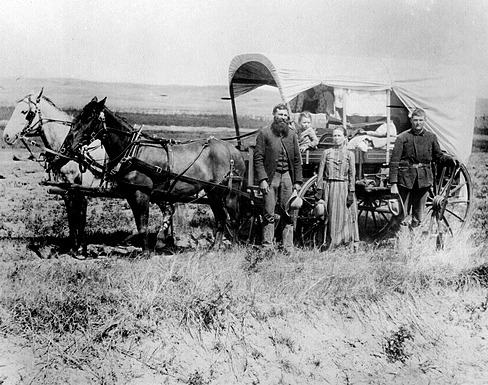 A typical pioneering family: With their entire livelihood packed up onto a wagon, families like this would have been making their way down the Kentuck Trail in the 1870s. Image courtesy of National Archives. Thomas Kassa, “The Kentuck Trail,” Spokane Historical, accessed April 21, 2019, https://spokanehistorical.org/items/show/543.